Posted by Kelly on Apr 01, 2007.
of North Carolina last August. Check it out…Mount Sheltie! Station 3 miles below!!! That’s (l to r) Moriah, Linus, and Chrissy. 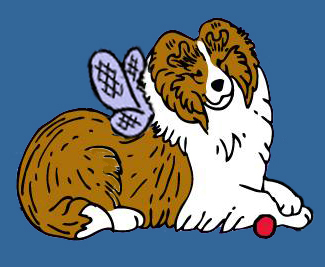 Happy “Sheltie” April Fools day & thanks to Glen for the submission! OK, so are the Shelties really there or are they photoshopped in too?